Haben wir mit bestimmten Seelen vor diesem Leben vereinbart, gewisse Schicksale zu teilen? Before this life, is it that we have fixed to share certain destinies with specific souls? 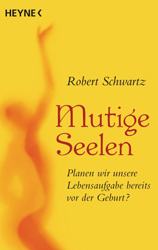 Hypnotherapist and writer Robert Schwartz – who deals with rebirth and the lives between lives – has collected many stories alike, which seem to confirm that thesis (watch his full interview). Even a man under a bridge could be an aged soul, who wishes to convey the quality of sympathy to others.